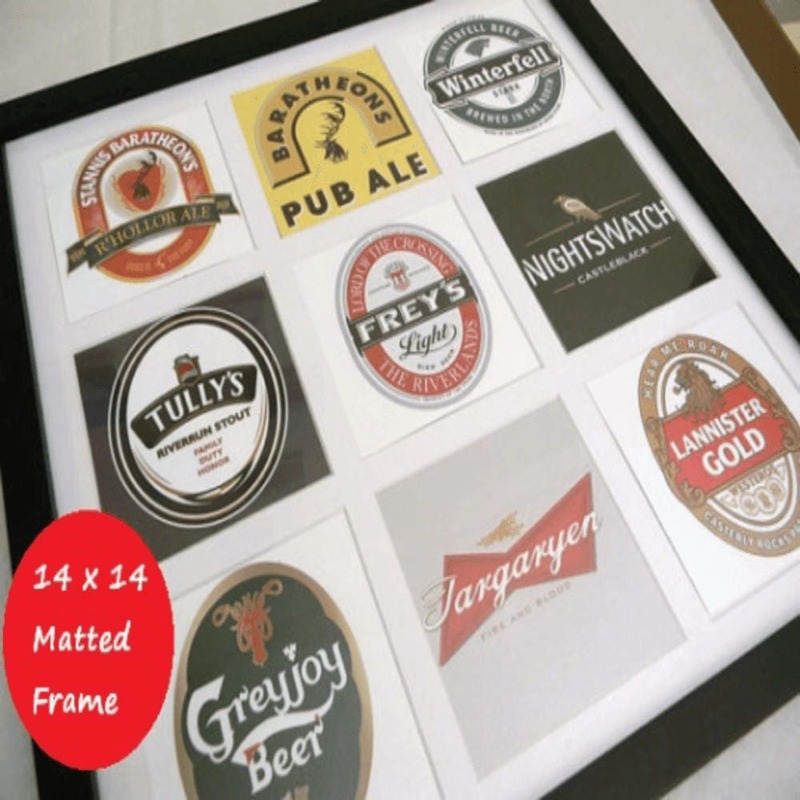 The Game of Thrones beer logos are featured in a 9 picture collage 4 x 4 matte. The Game of Thrones beer logos are printed on advanced premium photo paper to bring out all the color, and intricate details of every logo. This Game of Thrones picture collage art would look great in any house, man cave, bachelor pad, restaurant, or bar. Trendycoasters truly believes in a 100% satisfaction guarantee with your Game of Thrones Art, or your money back within 7 business days from date of delivery. OBSESSED! My BF is going to FLIP when he sees this! Thank you!!! Bought this for my son, who was delighted with its quirkiness (he's a huge fan of Game of Thrones). Quality item, carefully packaged and arrived promptly. Great seller! very unique idea and quick ship. thank you!